While the original Kynd crew must move on to the next chapter of our lives, it is important to remember why we started Kynd in the first place. Sustainability. Humanity is at an extremely important crossroads, and we implore each and every person that reads this to continue to be environmentally conscious. It is crucial to be aware that all of your actions impact the environment and the many beings that live in it. Please be respectful of Mother Nature; let’s leave this planet better than we found it so that future generations can enjoy the natural wonder and beauty of life on earth. 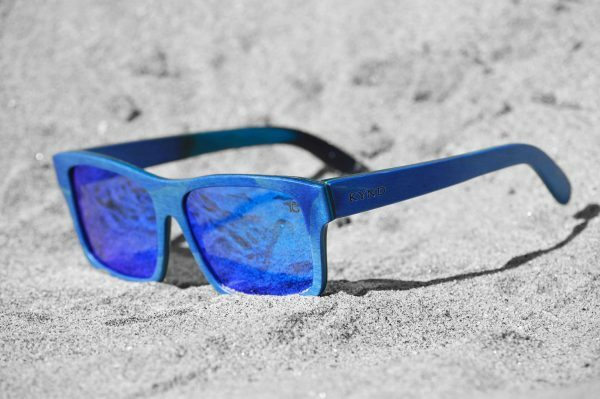 If anyone is interested in picking up the torch and continuing the Kynd mission and business, please reach out to Jared at jbranscombe@kyndeyewear.com. Turnkey access to manufacturing, ready-to-go website and social media, along with established access to many music festivals, street fairs, and Southern California events to continue showcasing & building the Kynd brand. Lastly, and most importantly, we’d like to extend a sincere thank you to the following people for their help and support over the years. To our families and parents – we wouldn’t be here without you; your unwavering support and dedication over the years means more than we can express in words; we love you, thank you from the bottom of our hearts. To the Gill family for providing the financial backing that made our dreams a reality. To the Longoria family for always providing a welcoming place to stay (and park our tour bus!). To our friends that have helped us along the way – working festivals with us, inspecting sunglasses with us, sweating with us, letting us take thousands of photos of you wearing Kynd shades: (in no particular order) 007, Andrea, Shawn, Shaun, Christie, Jeremy, Fitz, Sarah, Alyssa, Derek, Kaylan, Samantha, Adam, Devon, Amanda G., Amanda, Pat, Brent, Mike, Erik, Angela, Jared, Arathi, Edina.. and anyone we’re forgetting that’s helped us along the way.. we love you. Eric for helping us with our website. Our amazing accountant Alani, thanks for cleaning up our messes. Our awesome lawyer Forrest, thanks for your advice and helping us stick it to Kind Snacks for trying to steal our trademark. To the amazing bands, artists, and people we met along the way, especially all the members of Hirie and their amazing percussionist Conga Kurty. To Al at Cali Roots, by far our favorite festival. And to you, our customers – the most important members of the Kynd crew – thank you for supporting us over the years, thank you for growing with us, thank you for helping us. We wish you all the best in the future. Much love! 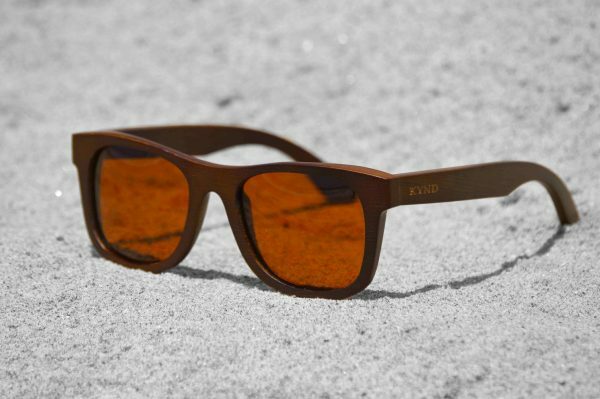 Welcome to the sustainable world of Kynd Eyewear, a grassroots startup founded in 2012 to better the world via…bamboo! 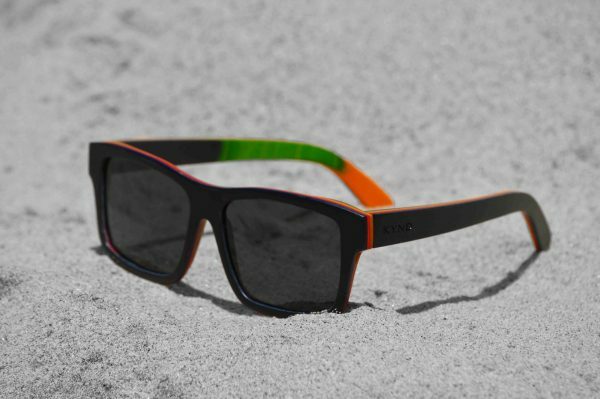 We create unique and limited-edition artwork, ensuring that your gear is one of a Kynd, never boring or bland. 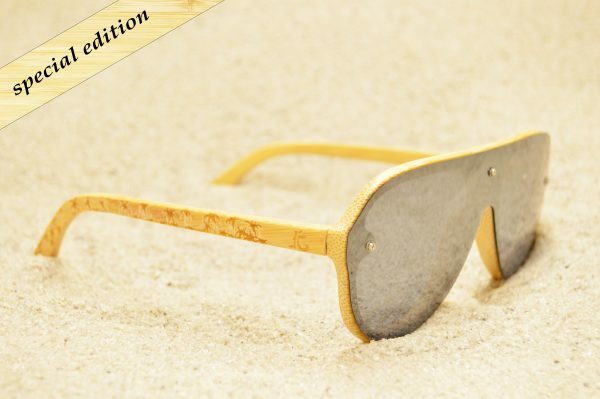 All of our eco-friendly eyewear is custom-designed and hand-finished with the utmost quality and style in mind. We want to do everything in our power to do good in this world, and be a company that offers hope & style amidst industry giants that often choose profits over people and our environment. ~ Join us!